Camps Bay Retreat has spacious accommodation with modern room amenities and onsite facilities to ensure an unforgettable Cape Town retreat. 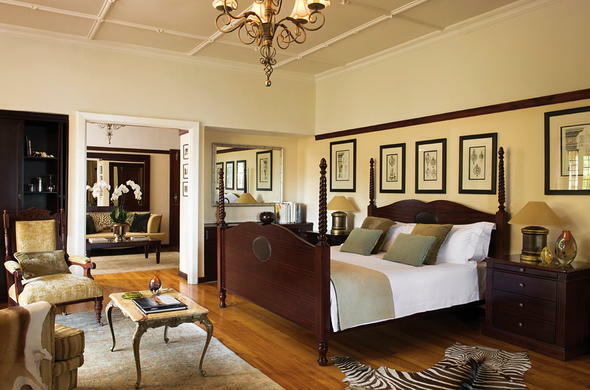 Accommodation at the Camps Bay Retreat is a choice between the different luxury Camps Bay rooms at the Earl's Dyke Manor, Deck House or Villa. The types of rooms offered include Premier, Luxury, Superior Rooms, and suites. All rooms are tastefully decorated. All of the rooms comes equipped with tea and coffee making facilities, mini-bars, satellite television, air-conditioning, telephone and laptop facilities, ADSL Internet access and DVD players. Rooms in the deck house and villa feature private balconies with deck chairs.